Prepare yourselves for a Halloween-themed episode that's bound to leave you terrified. But not in the way you might expect. As we are nearing the end of the season, Shadowhunters Season 3 Episode 18 really turns up the heat and it's both crazy emotional and crazy unpredictable. Be warned we do have some light teases in store for you below, but who doesn't love a tease or two? And don't forget that if you're behind on the show you can watch Shadowhunters online right here at TV Fanatic! 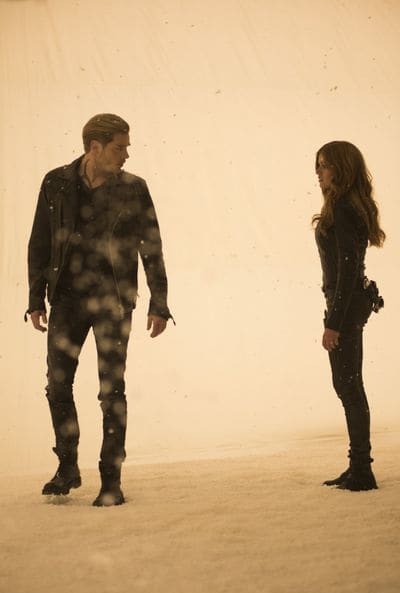 Now that they have the heavenly fire, Clary, Jace, and the rest of their friends are hopeful that Clary's connection to Jonathan can be broken once and for all. But this is Shadowhunters we're talking about, and nothing is ever that easy. Removing Clary's rune is going to take a lot more than they thought, but Clary is willing to do whatever it takes. Related: Brooklyn Nine-Nine Season 6 Episode 12 Review: Will Jake and Amy Have Kids? The darkness inside her is growing by the hour, and she's having more and more trouble staying in control. But thankfully, Jace is there to help bring her back while they work towards another solution. 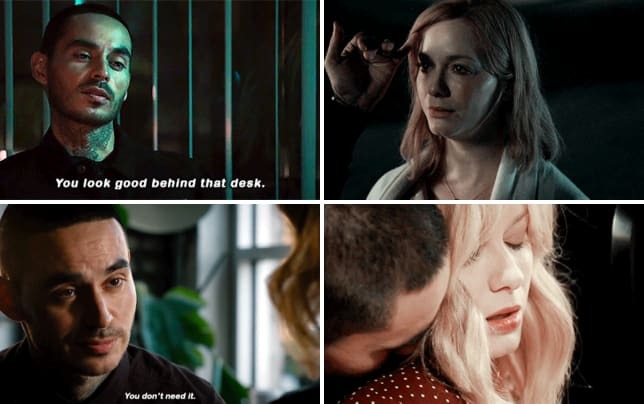 However, there's only so much Jace can do, and as the danger continues to grow and Jonathan continues to be a threat, essentially anything can happen. Brace yourself for a whirlwind of events. There's also the issues of Magnus' magic and the amount of pain he's currently in. As seen in a promo for Shadowhunters Season 3 Episode 18, Asmodeus has given Alec an ultimatum. He'll give Magnus back his powers if Alec breaks Magnus' heart. Of course, this is something Magnus would never agree to, which is why if Alec decides to go through with it, Asmodeus' other condition is that Magnus can't know about their deal. Related: Good Girls: Will it Return for Another Season? Alec struggles with this decision the entire episode, and it's obviously not an easy choice for him to make. But you're going to have to wait and see for yourself just what he decides. Now on to some better news. Rebecca is back in town and ready to celebrate Halloween with her brother. When she discovers that Simon and Maia broke up, she can't help but wonder why Simon is so okay with it. However, her question is answered when she sees just how close Simon and Isabelle have become. Siblings always know best and just like the rest of us, Rebecca is picking up on some major feelings between the two. So just as older sisters do, she takes it upon herself to play matchmaker. Let's just say that there is absolutely nothing platonic about Sizzy on Shadowhunters Season 3 Episode 18. In fact, prepare for one of their best scenes to date. Simon and Isabelle are sizzling, and the feels are coming for you big time. Related: Veronica Mars Revival Gets a Premiere Date and a Teaser! And then there's Maia. Thankfully, Maia is back and ready to become the leader of the New York werewolf pack. She has some much-needed scenes considering it's been quite a while since we last saw her. Maia also has some interesting scenes with Jordan that you'll either love or hate depending on how you feel about their relationship. 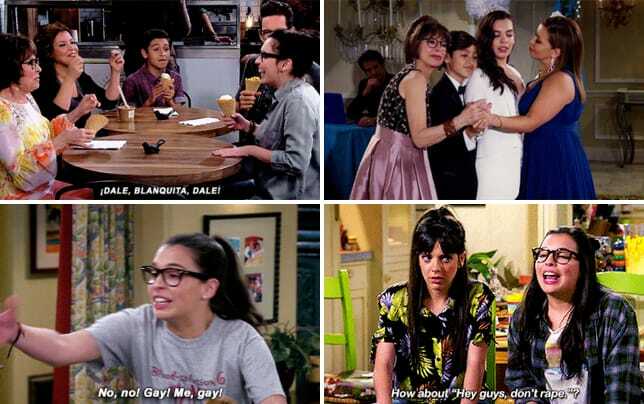 But really, anytime Maia's on our screen is a blessing. Overall, Shadowhunters Season 3 Episode 18 is one of the best episodes of Shadowhunters Season 3. Everything the season has been building up to is finally coming together, and it's terrifying, yet epic. Be prepared for a lot of fluff and angst coming your way. And yes, some scenes had a little of both. Our favorite quote would be too big of a spoiler, so let's go with our least favorite quote this time: "I'll restore both. Under one condition. End your relationship." Um...can you not? We hate alarms. Alarms are the worst. Let's ban all the alarms from the Institute. Banish them to Edom. Okay, actually, probably not a good idea, but you'll understand what we mean when you see it for yourself. Maryse and Magnus have some much-needed bonding time and discuss Magnus' mental state. Mental health is important, and Maryse is there to help Magnus in whatever way he needs. There are some extremely cute Clary and Jace scenes. Jace is honestly so soft and protective when it comes to Clary and it never stops being adorable. Simon and Rebecca are sibling goals. In fact, it's hard to believe that the actors aren't brother and sister in real life. We get some great team-ups and fight scenes again and it's extremely badass. Alright, Shadowhunters fans! What are your predictions for Shadowhunters Season 3 Episode 18? Let us know in the comments section down below!